Anderson Woodworks is comprised of a talented & friendly husband & wife duo, Gary & Jan Anderson. 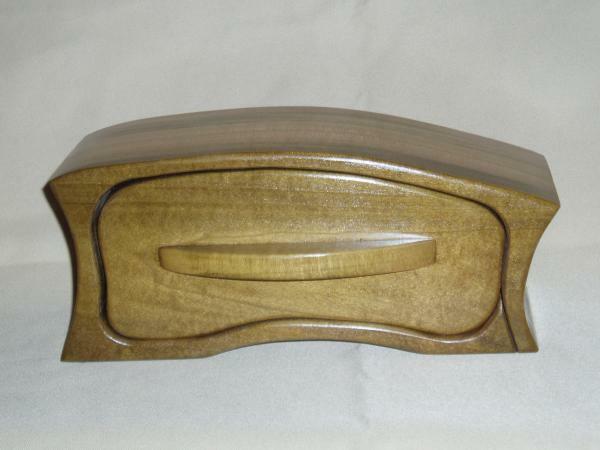 They create beautiful high-quality hand-crafted wooden jewelry boxes, boxes with removable lids, desk accessories, & more. Having worked with wood since he was a young boy, Gary takes unique pieces of wood & makes them into something stunning, yet functional. 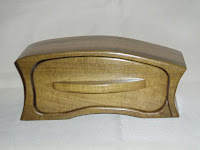 The jewelry boxes are my favorite items & there's a wide variety of styles offered. The green Poplar wood box (pictured) is a work of art & the four-drawer Zebrawood & Walnut box has lots of space for storing your valuables. There's also plenty of items for the youngsters. Anderson Woodworks offers various hand-painted piggy banks for boys & girls. Visit their main website for more offerings, including clocks, bird houses & more. Visit Anderson Woodworks at the 3rd Annual Funky Finds Spring Fling on March 12 & 13! I bought a box from them at the last spring fling and I LOVE it!